Different Physical quantities has different aspects of measurement.For example, Length is measured in Centi-meter/Meter/Kilometer. Computer also has its memory and storage sizes measurement units. What is the memory measurement unit of Computer? You all know that a computer only understands the binary language.The information stored in the computer is in the form of 0`s and 1`s called bits. Now the point is What is a bit ( Binary digit )? 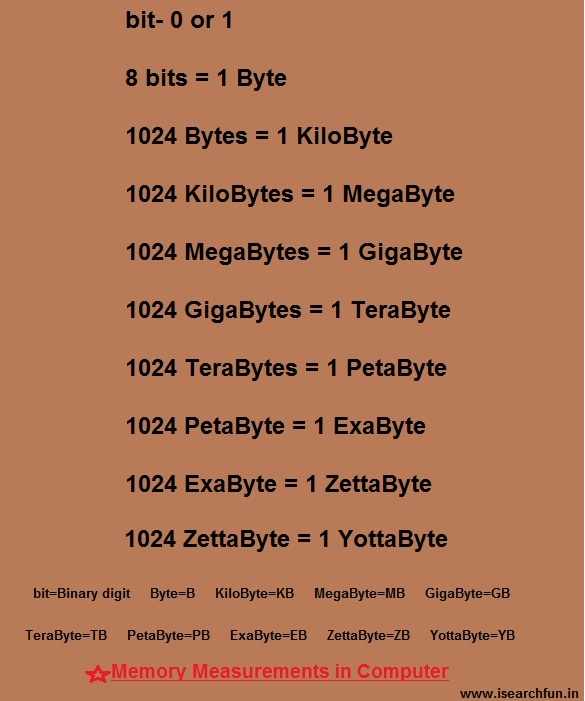 A bit is the smallest unit of the data/information.A bit can have only a single value either 0 or 1.A group of 8-bits makes 1 Byte.